Original & customized full-service link building professionals that build and deploy relevant high-quality links to your website using our industry specific knowledge. Our proven link building strategies focus on getting links on websites that are sensible, highly relevant sources for your web site to get links from. These original and custom back links help keep your website at the top of organic search results regardless of search engine algorithm changes. Our SEO and Link Building philosophy is that we essentially become part of your company. Our experienced link building consultants work directly with you to meet your exacting marketing needs. MYC is 100% transparent and we provide regular monthly reports on your Organic ranking status. Our link building services are designed to be implemented into your existing SEO strategy. If you don’t have an existing strategy we will build one for you. Our custom organic link-building service begins with a kick-off telephone call or in-person meeting from our President, Matthew Harris. The purpose of this is to first get acquainted with you and your business model, we discuss your current organic link-building plans if any, and your online presence goals for the next six-twelve months. After the initial kick-off meeting, we will research your site and develop an intimate knowledge of your individual situation. This process will help prepare us for the next step, the customized organic link building plan. Once your link-building team becomes intimate with your web site and business model, they will begin researching and targeting your market as well as analyzing your competition. They will delve deeply into keyword research and determine what efforts other companies in your vertical are using for organic link building. 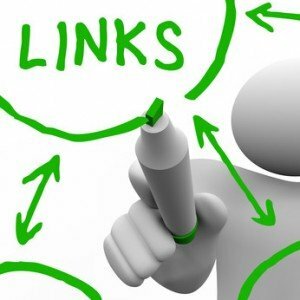 Once we have gained an in-depth understanding of the market conditions for your keywords, as well as understanding your existing and past competition, your link-building team will draft a customized link building plan that contains various custom link-building strategies that are customized to meet your goals for higher organic search rankings. As the link building plan progresses, we monitor search results to ensure that the link building plan is on track. Your investment in our link building services entitles you to accountability and full transparency. Every month starting after the 3rd month, you will receive a detailed report with our up to date organic link-building activities and the corresponding results so that you may track the progress and evaluate the link building results. Because we target organic white-hat links, we cannot always guarantee a specific number of links, however, we can guarantee that we will use our expertise, experience and all relative means available to do everything within our power to create as many high quality organic links as possible for your company each and every month that you employ our services. Call or Click to Contact Us Today for a FREE consultation. I guarantee I can increase your organic search relevance to Internet users in your local market area – Matthew Harris, Owner MYC.